The tour is now FULL, with a waiting list. We are pleased to present this tour for SFHS members and their guests. 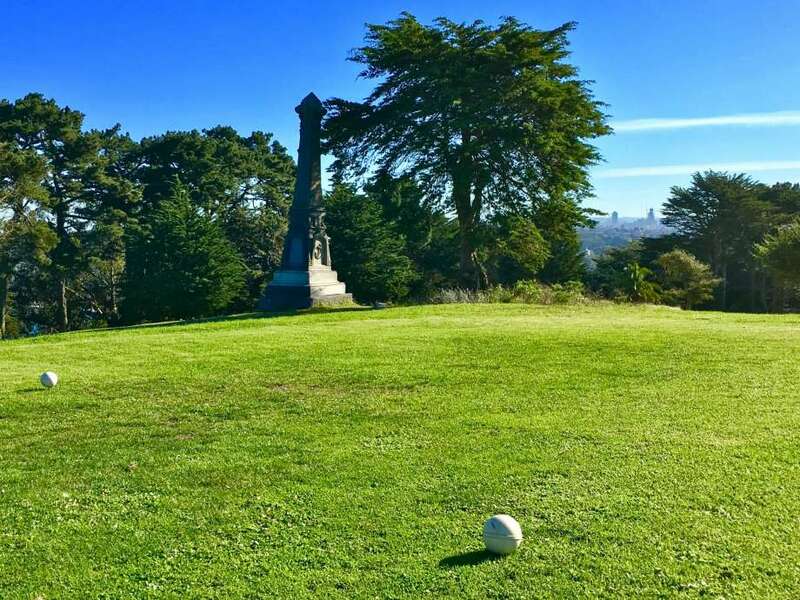 Few people realize that today’s Lincoln Park Golf Course was once the “City Cemetery,” the final resting place for tens of thousands of San Francisco’s dead. Join historian and retired park ranger John Martini on this twilight exploration of the former cemetery, including visits to forgotten funerary monuments along the golf-course fairways. This non-strenuous walk includes gentle uphill paths and stretches of lawn before ending at the Palace of the Legion of Honor. John Martini gives many walking tours on the lands around San Francisco. He is an experienced tour guide with a great deal of historical information about SF and the West. Note: the walk ends after dark. Rain cancels. The number of participants is limited, so you must RSVP. Call (415) 537-1105, ext. 0 or email rsvp@sfhistory.org at least 48 hours before the tour, and we will give you the meeting place.